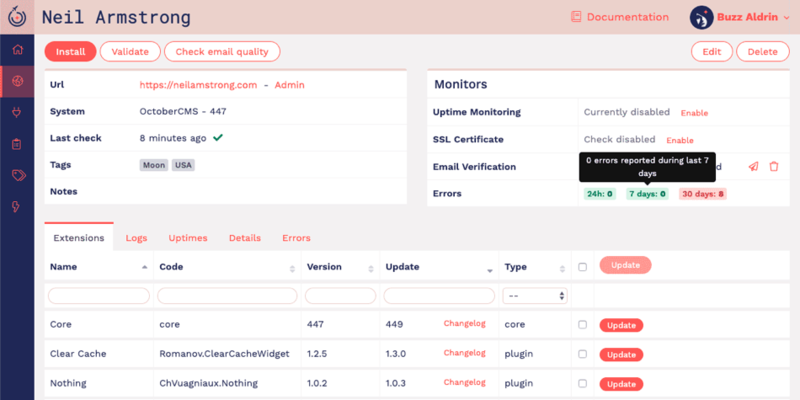 1Pilot is an advanced monitoring and management platform for all your OctoberCMS sites. The service launched with an extended free-trial period in November 2018, when more than 150 users tested the platform with over 500 sites, many of whom have carried on using the full post-launch service. Our partner inetis sàrl created 1Pilot because their website maintenance commitments to clients took their developers’ focus away from more valuable work. The company owners realised that if the team was less distracted then their clients would receive better, more creative work. See October CMS plugins and themes installed on every website managed with 1Pilot. Remotely install/update plugins on your managed websites from a ZIP file, URL or GitHub repository. 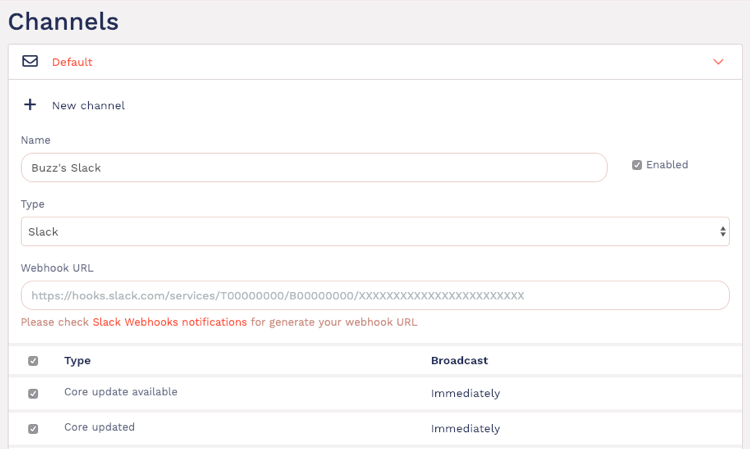 Get critical notifications when a plugin, server software or other key element is altered. Private plugin updates from Github repositories. Server and configuration monitoring for PHP/MySQL versions, or changes in important system configuration files. The team at inetis have been working hard to launch the full 1Pilot service, which went live in February 2019. Since then, inetis has released its first batch of major updates, which bring exciting and useful new tools to the platform as suggested by early-adopters. Get updates on email, Slack or Discord. Set emails to ‘immediate’ or round them up with a ‘digest’ at different intervals. Customise notification preferences by channel and type of update. Full details of the changes can be found on 1Pilot's blog. It shows you how many errors have been reported in the last 24 hours, 7 days and 30 days. It notifies you when the number of errors reaches a configurable limit. It allows you to see each error for each site in detail without storing the data - to maintain security and data privacy. Full details of the changes can be found here. Gold partners - $200 credit. Silver partners - $100 credit. Bronze partners - $50 credit. 1Pilot pricing starts at $2/site/month, so these coupons offer far-reaching trials. They hope this will encourage other businesses to become an October CMS partner and help build a culture of sharing amongst those closest to October CMS. Needless to say, we think it’s a great idea! If you haven’t tried 1Pilot for your sites yet, head over to their registration page to make use of their 15 day full-featured trial. Logging/displaying site maintenance and config debug statuses directly in 1Pilot. Integration with popular backup packages to have the status and the date of the last successful site backup. Watch the space for future updates to the 1Pilot system.